If you aren’t creating mobile-friendly content for your website, you’re essentially hanging an “out of business” sign to the majority of your customers. 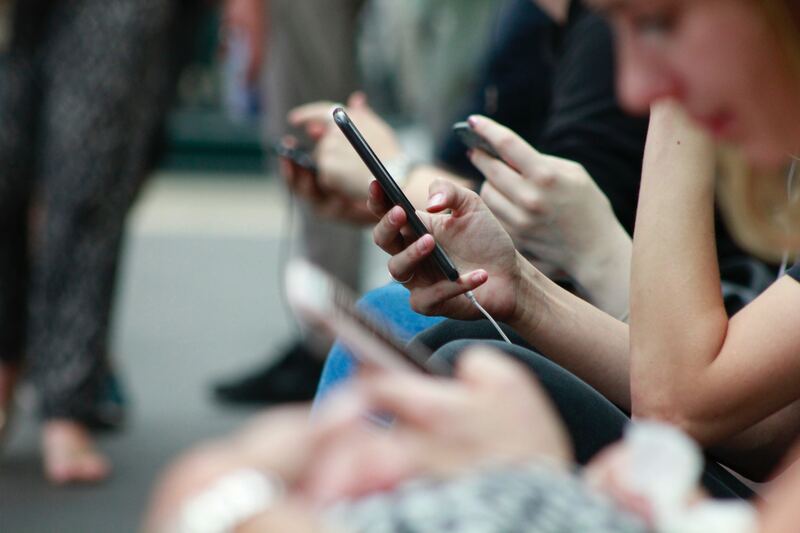 According to a number of studies, the majority of online activities – from online searches to major purchases – are now performed using mobile devices. Most inbound traffic in the U.S. is generated through mobile devices and mobile devices account for the majority of time users spend online as opposed to using a laptop or PC. With so many mobile users in the market, it’s essential for your website to be optimized for mobile use. A mobile website is designed to render well on small screens like smartphones and tablets. Mobile content is any type of electronic media which adjusts for use on mobile phones. You might offer some of the most useful, valuable and unique products or services on the market, but if your website’s mobile experience is poor, your business will suffer. It is likely that your site will find itself at the bottom of the search results and consumers’ minds compared to more mobile-friendly websites. However, if you give your customers a smooth mobile experience, you can increase sales, build trust and brand awareness. This article discusses the importance of creating content for mobile use and provides key tools to assist with content creation for mobile presence. Why is Creating Mobile Content Important? Google’s own research indicated more than half of searches are now conducted on a mobile device, leading the search engine to roll out mobile-first indexing in early 2018. With mobile-first indexing, your website’s mobile version is checked for indexing and search engine ranking before your desktop version. Reputation is important for a successful business, so providing a positive mobile experience will impact how customers view your brand – online and offline. Customers will remember a having a good experience with a website, as well as websites they have a poor experiences with. PewInternet’s mobile fact sheet says that one in five American adults are “smartphone only” users, meaning they do not use broadband internet on a PC or laptop. Due to this, if your website’s mobile experience is poor or non-existent, you can’t offer your services or products to the market of mobile-only users. In fact, most mobile users will abandon a website if it takes more than a few seconds to load and won’t return if their first experience is negative. Google reports 94% of all local searches are conducted on a mobile device. The majority of local searches are performed on a mobile device because people are usually looking for a business close to where they are at the time. When people are conducting a local search it is likely that they are on the go and need to find a service or product for immediate use. Chrome DevTools are a set of developer tools built into the Google Chrome browser. These tools simulate mobile devices, allowing you to view your mobile website from your desktop and audit the performance for both mobile and desktop. Using DevTools, you can ensure that the same content is displayed on both desktop and mobile versions as well as its performance. For example, when operating Chrome Devtools on Guava Family’s website you are able to utilize various audits to ensure mobile performance, accessibility, and user experience are optimal. Test My Site allows developers to test website speed as this is an important user experience factor to consider, particularly on mobile sites. Websites lose more than half of their visitors while the website is loading. For this reason, Google added website speed as a factor in its mobile-first indexing in July 2018. Check out more tips on how to improve your customer’s online experience. Responsive web design is a tool that enables webpages to automatically fit the screens of different devices. Responsive webs designs greatly reduce inconvenient user operations like panning, zooming and scrolling when browsing the web. Google recommends using responsive site design because they load faster and increase user-friendliness. As you can see, all of the important aspects of the page remain visible no matter what size the screen is. Though you cannot see the top navigation bar, the three lined menu bar becomes visible. The design of the page also stays intact, the words aren’t bleeding out of the screen and the images are reduced down to fit. On smartphones, pop-up ads can be a big mistake. Mobile users want a user-friendly site and pop-up ads can make a site harder to navigate. While pop-ups on a desktop are easy to close, it’s not as easy on a mobile screen. If you choose to use pop-ups, make sure they meet certain size requirements. Google announced sites will be penalized in search rankings if pop-ups disrupt the user experience. Ads required by law, like age validation pop-ups, won’t hurt your rank, but pop-ups for advertising could hurt your search engine ranking. Mobile devices offer only a few square inches for navigating, making it difficult to view long textual content. Instead, ensure your content is succinct and short so users don’t have to scroll too much. Highlight important points and make sure the font is big enough for users to read without having to zoom in. As a reference point, Good Life Home Loans mobile site incorporates various text sizes and accounts for consumer legibility. A single-column layout prevents user from having to scroll left to right across their screen. If necessary, remove some content to ensure the single-column layout remains. To determine if your website is optimized for mobile, you should check on various devices. Google offers a free, mobile-friendly test to assist you in determining whether or not your website is optimized for mobile. The tool will rate your site’s mobile friendliness and alert you if pages aren’t loading correctly. You should regularly test your site to ensure it remains optimized for mobile use. Below is an example of Google’s Mobile Friendly Test in action displaying passing results for Sephora’s mobile website. If you want your business to remain competitive, you need to create mobile-friendly content. With the majority of customers now using their mobile device for all their online activities, you need to make sure users can engage with your content regardless of how they access your site. It’s important to keep content, layout and design simple so your site will load quickly on a mobile device. If your website can’t be viewed on a small screen or takes too long to load, your customers will leave your site and take their business elsewhere. For more beginner SEO tools, click here.